Trucks and buses exceeding 8,500 pounds gross vehicle weight rating consume 2.8 million barrels of petroleum fuels daily, or 20 percent of total transportation fuel use. Their fuel consumption is projected to grow at an average rate of 1.2% per year in the coming decades, faster than any other fuel use in the transportation sector and several times faster than energy use across the economy of the United States as a whole. While saving fuel is a priority for heavy-duty vehicle purchasers, fuel efficiency technologies often take many years to make their way into truck and bus markets. In 2011, the National Highway Traffic Safety Administration and the U.S. Environmental Protection Agency jointly adopted the first U.S. standards to raise fuel efficiency and reduce greenhouse gas emissions of heavy-duty vehicles. The standards cover vehicles ranging from large pickup trucks to city buses to tractor-trailers, beginning with model year 2014 vehicles. Federal agencies will propose a second phase of heavy-duty fuel efficiency and greenhouse gas emissions standards in March 2015. 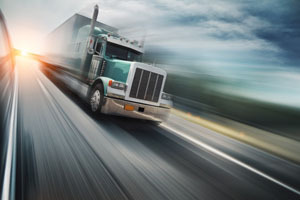 Presentations and summary report from a July 2014 workshop organized by ACEEE and the International Council for Clean Transportation (ICCT) to discuss emerging fuel efficiency technologies for tractor trucks can be found here.